I call this the "green" G&T, since its three plant components: cucumber, lime and mint, are green both in color and in their refreshing flavors. Toss them together, you have a perfect cocktail for sipping outside on a nice day. 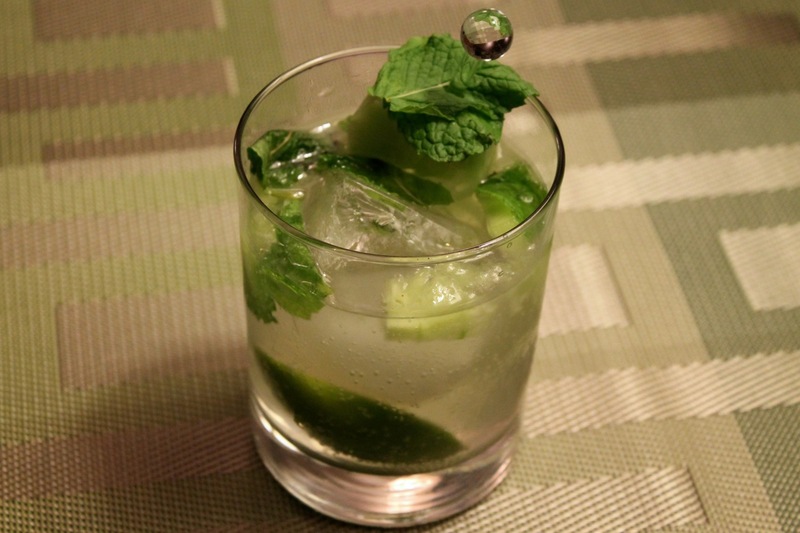 Combine cucumber slices and mint leaves in a lowball glass. Squeeze the lime juice over the cucumber and mint and muddle. Drop the lime wedge into the glass. Add ice, gin, juniper berry and tonic water. Stir to combine. Garnish with a cucumber slices and a few mint leaves. An all-green cocktail. Al Gore would approve.